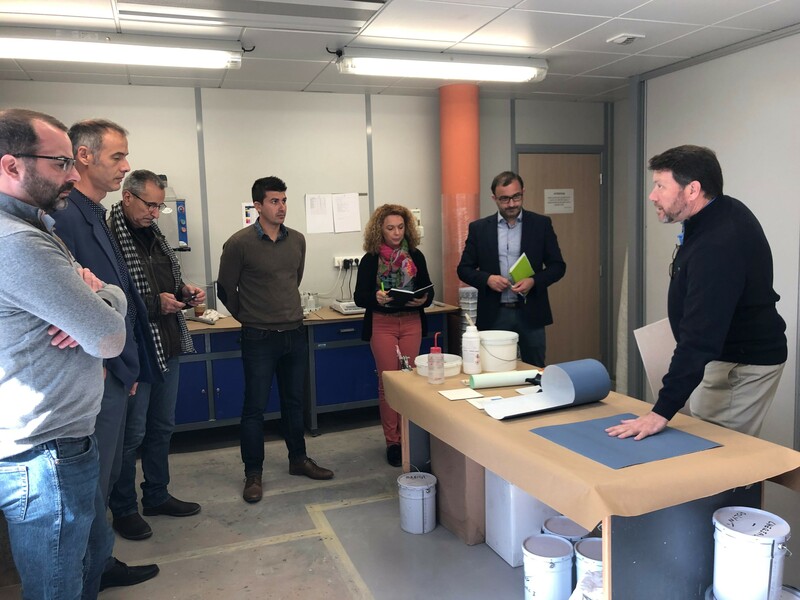 On April, 16th Euromere meets their customers in Chavagnes-en-Paillers to have a live demonstration on GIBCO FLEX MOLD non-skid sheets. 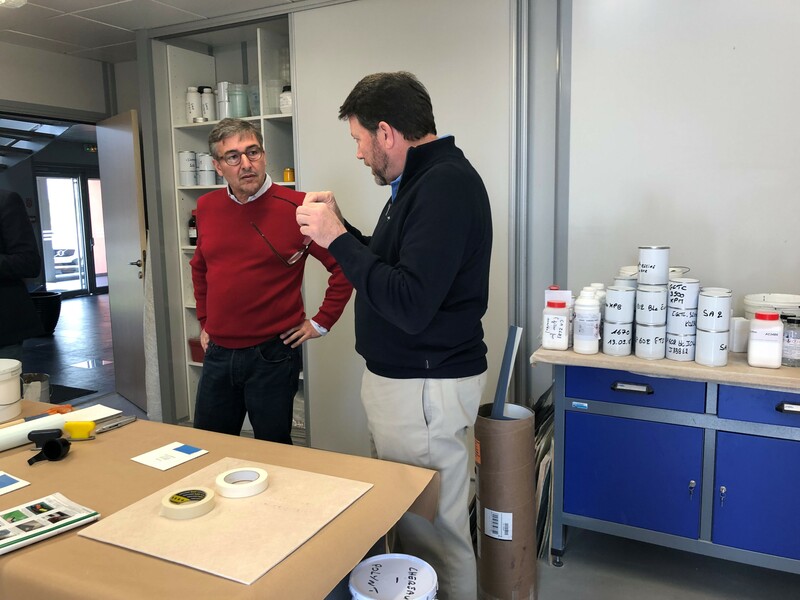 Participants have learn Best Practices on How to use GIBCO FLEX MOLD non-skid sheets the very best way and get all benefits for producing and/or repairing your non-skid surfaces on plug build up and boat decks. 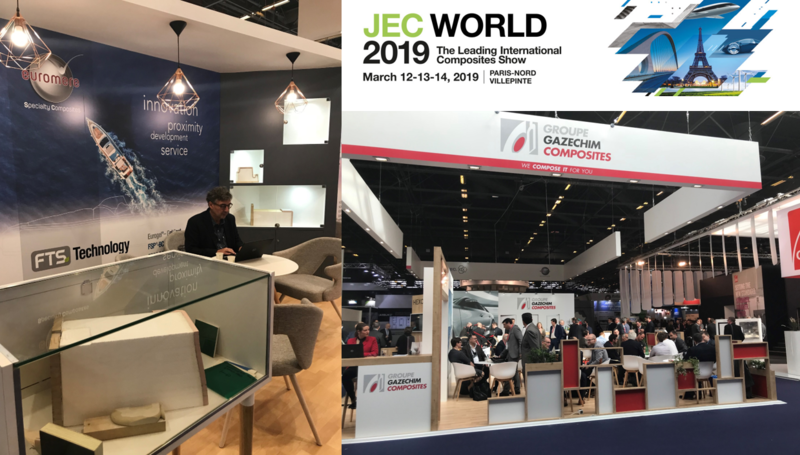 A day dedicated to conviviality & exchange with Composites experts. What is Barrier Coat technology? Fibre Spray Polymer-Barrier Coat (FSP®-BC) technology consists of formulated polyester thermoset resins that are catalysed with a standard PMEC-50 peroxide. The two-component, low-styrene resins are filled with special hollow microspheres and microfibres. An FSP®-BC barrier coat can be applied with a standard gelcoat equipment or, for small surfaces, a gravity-feed cup system, behind a wet or non-tacky polyester gelcoat. Why use a barrier coat? The primary purpose of a barrier coat is to protect the gelcoat from deformation during the cure process (lamination). When polyester and/or vinylester-resin-based laminutes shrink, the surface distorts and the distortion is transmitted to the gelcoat. A barrier coat, specifically the FSP®-BC, can be applied in record time and will protect the gelcoat efficiently from the stresses and other distortions it is subject during the laminate cure process. If mechanical properties and surface finish are to be preserved in a part, the resistance to water and osmosis must be as high as possible. Applying FSP®-BC barrier coat behind the gelcoat significantly increases the water resistance of the polyester part, whatever the manufacturing process used to produce the part. The comparative mechanical properties of laminates with and without FSP®-BC were checked before and after ageing. 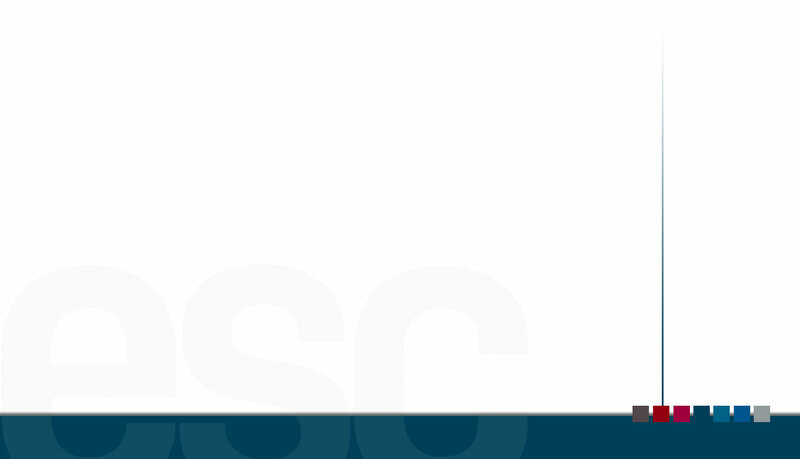 Generally speaking, FSP®-BC barrier coat makes the structure more flexible. Impact resistance has long been a sore point for processors, and previous experiments with non-reinforced barrier coats brought out some failures in this area. 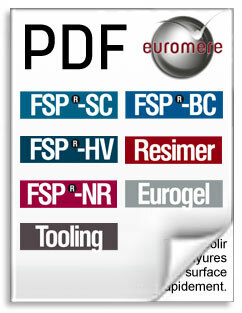 FSP®-BC doet not change the impact resistance for any one laminate, compared to the same laminate without it. FSP®-BC's good adhesive properties were demonstrated by cross-hatch adhesion tests carried out on the specimens. The barrier coat performs well, whether applied to a wet gelcoat or a non-tacky one. Euromere thanks its customers, partners, suppliers for this great edition 2019!